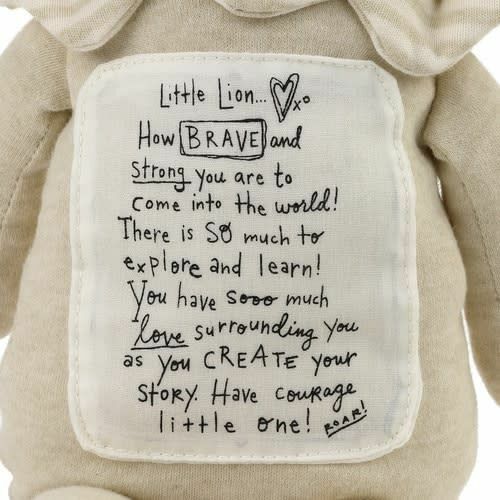 Welcome the new baby to the world with a special message of courage and love from Brave Little Lion! This super-cuddly stuffed friend is 16" tall and a soft, strong friend for baby as he or she starts exploring the world. 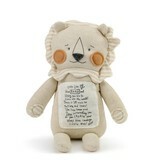 Makes a great baby shower gift, or bring on your first visit to see Mom after the baby comes home. 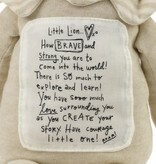 Little Lion... How BRAVE and strong you are to come into the world! There is SO much to explore and learn! You have sooo much love surrounding you as you CREATE your story. Have courage little one. ROAR!